Big O Bagel opened its first store on Bend’s Westside in 1994 and has always maintained a focus on serving real food that is simple and delicious. That’s why their bagels only have six ingredients, and preservatives are not on the list. Big O Bagel believes that whether you ski, snowboard, run, bike, hike, climb, kayak, or anything else, there is nothing better to fuel your adventure than a bagel. Fuel up in the morning with a rotating selection of bagel flavors and cream cheese spreads. Heading out for a big excursion? Fuel up right with one of the hearty bagel egg sandwiches. If you think bagels are just for breakfast, think again. Big O Bagel lunch sandwiches come topped with everything from hummus to turkey and bacon to pepperoni. They even wrap their bagel dough around a hot dog, roll it in cheese or sesame seeds (or not) and bake it up; a crowd-pleasing kid winner. And gluten-free friends, Big O Bagel has you covered with Udi bagels. 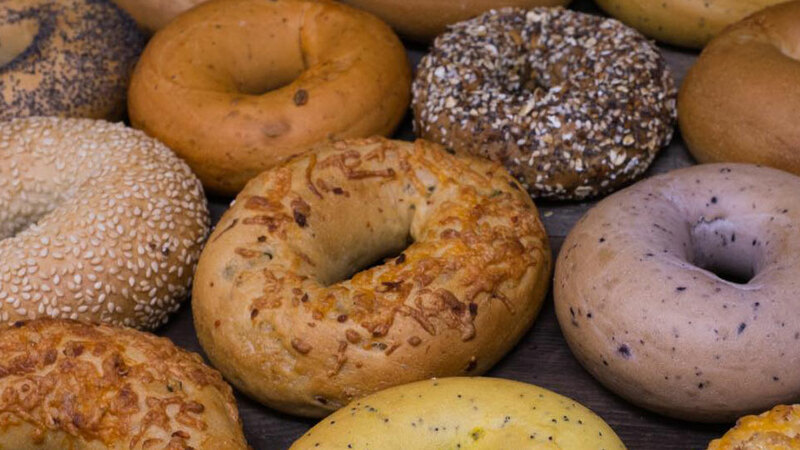 Want to score a Big O Bagel for half price? Order one up, take a picture of you and your bagel on your adventure, post it on Facebook and/or Instagram with #bringabagel and your next bagel is 50% off when you order it within a week. Win!